There are many reasons why it is becoming increasingly more difficult to get reliable, proactive and government endorsed threat intelligence that you can count on when developing ECM equipment and the cross section of countermeasures, including the development of mission fill. A lack of accurate and often time-sensitive information has an impact which can be measured in a number of ways. The key to a successful project, be it equipment development or sales activities, depends very much on the availability of the relevant information at the start and throughout a focussed activity. On the back of a number of requests from key entities, we’ve created the RCIED Threat Profile. It’s been developed by, and with the needs of, specialists in this challenging environment. Our aim is to provide you with the data that that will give you a competitive advantage. Each RCIED Threat Profile is tailored to your individual requirements. You can request specific Threat Profiles by Timeframe, Region, Country, Theatre or defined geographical area technology or any number of searchable data fields. There are a number of commercial mechanisms for one-time reports, periodic reports or on-call analysis and these are available on request. 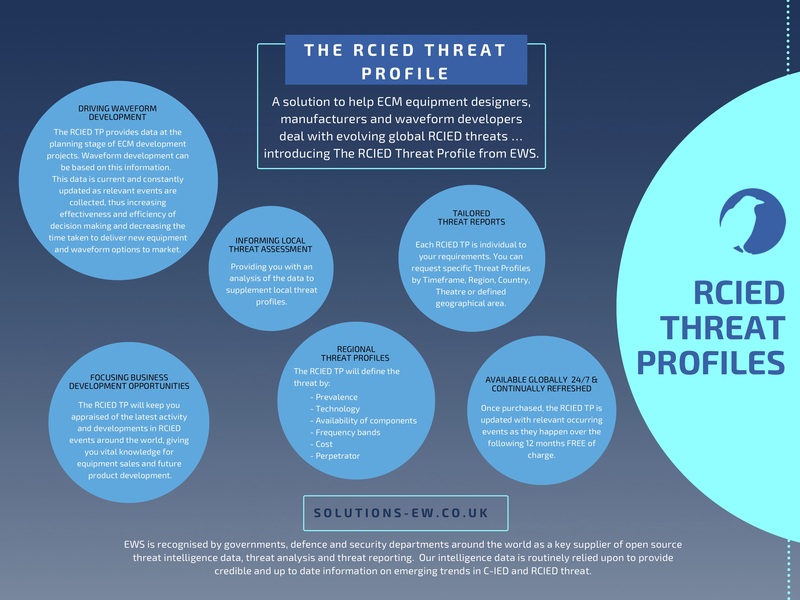 If you’d like to discuss the RCIED Threat Profile and how it can help you, then please feel free to contact us to discuss this further. 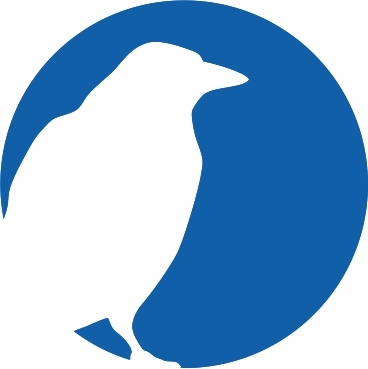 EWS is recognised by governments, defence and security departments around the world as a key supplier of open source threat intelligence data, threat analysis and threat reporting. Our intelligence data is routinely relied upon to provide credible and up to date information on emerging trends in C-IED and RCIED threats.